Imagine you visit a wedding function, anniversary celebration, or a birthday party, and you find the place without any decoration. Would you like to stay in the function for a long time? Obviously not. The decoration is the lifeline of any function, be it a wedding function or the anniversary function. And when it comes to the wedding ceremonies, a stunning decoration is of paramount importance. Decoration can be done in a myriad of ways. You can do the decoration by using flowers, lightings, ribbons, balloons, or even the blend of all. A beautifully done decoration not only add stars to your function but also garner the hails of the guests who attend the function. Among the various elements used for wedding decoration, balloon decoration has its own charm. 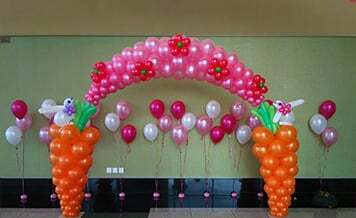 The best part about using balloons for the decoration purpose is they can be used for decoration in any type of function. But doing the decoration on your own entails a lot of time, energy, and meticulous attention. Even a smidgen of the mistake can spoil the whole decoration as well as your photographs. To avoid the decoration hustle, you can hire theBalloon Decorators in Delhi who can do a stellar decoration at your wedding and other functions and save your valuable time which you can utilize to focus on other key tasks. Keeping in mind the theme of the function, make a plan of how you want the balloon decoration at your event. Curbing down the cost of an event is the biggest challenge in front of any individual who is in charge of event planning. Allocate a specific budget for balloon decoration and stick hard to your budget. To avoid the waste of time, shortlist the top wedding balloon decorators in Delhi and contact them to jot down the quotation given by the vendors. Decor Balloons comes in a variety of styles, colors, and shapes. Decide in advance which style and colors of balloon you want to use for the decoration purpose. Cost– Out of all the decoration elements, the cost of balloon decoration is way less but still you shouldn’t overspend on the decoration part if you are tight on budget. Ask vendors, can they do the balloon decoration of the whole venue within the defined budget? 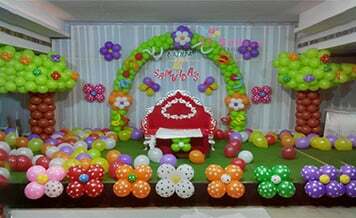 Variety– Balloon decoration can surely amplify the overall decoration if done with the right colors and styles of balloons. Ask the balloon decoration vendors, do they have coveted styles and colors of balloons? Choose the balloons according to the decoration theme of your event and let your function sparkle to the fullest. Team– To decorate the entire venue within the limited time frame, efforts of numerous individuals are required to make that happen. For the best balloon decoration in Delhi in the quickest time, ask vendors, do they have the workers to decorate the venue? If yes, also clarify, can they do the decoration a day or two prior to the event. Experience & Work Portfolio– Before bringing the preferred balloon decoration vendor on board, meticulously go through their work portfolio and the industry experience they possess. Why Shaadidukaan to Book The Balloon Decoration Vendors in Delhi? Because we help you to save time, money, and the most important asset, your energy. All the balloon decorator vendors registered with us are top-rated and verified and just a phone call away from you. Book the best balloon decoration vendor from shaadidukaan right away and get a huge discount!